When you think of it, the Christian life is neither simple nor easy. First, we were meant to be much different than we are. We were meant to reflect His glory as beings fully made in His image without flaw. But we traded that away for a bite of frut. Second, since we have become what our Creator did not intend for us to become, we now are faced with the arduous task of trying to get back to what we should have been all along. We can’t do it on our own. The task is too great and the gulf to wide to be bridged by mere human action. We have to be essentially changed from one thing into another. In fantasy novels there are sometimes creatures that are called “shape-shifters” that can change from a horse to a bird or a frog. As fantastic as that idea is, our challenge is infinitely greater: to change from a sin-plagued dead being to a God-reflecting person. Think about it: a caterpillar, who has only ever crawled and never dreamed of flying, goes to sleep one day and awakens with wings with which to soar. That is a radical “re-orientation”! Ours is even greater, for ours is a transformation not of one form of life to another, but from dead to living! 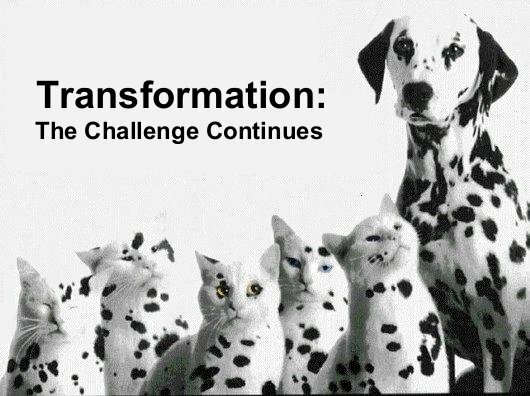 PRAYER: Lord, how we long for our transformation to be complete! We are impatient until we become all you intended for us in the beginning. Teach us to trust in your timing and wisdom to complete the task at the perfect moment for each of us. Transform us! In Jesus’ name, Amen. NOTE: Galen is working as a missionary with Medical Ambassadors International (MAI) (medicalambassadors.org) and is responsible for raising own support. DayBreaks is free – and will remain so – but if you wish to help support Galen in his ministry work with MAI, you can make a donation on his behalf. One-time donations may be made by going to this link: http://www.medicalambassadors.org/donate.html and look down the left side of the page until you find the SUPPORT MISSIONARIES section. Then look for “Galen Dalrymple”. Click his name and you’ll be taken to PayPal where you can donate to his support. If you wish to make a recurring donation, contact suzette@med-amb.org or call her at 209-543-7500 ext. 219. You can also write a check to Medical Ambassadors International (a 501.c.3 non-profit – meaning your donations are deductible) and put “S090” in the Memo field. Mail the check to Medical Ambassadors International, P.O. Box 1302, Salida, CA 95368. This is one of my favorite Bible stories. It has fascinated me since I can first remember. I can’t imagine the vision that Ezekiel saw, and the power of the moment when the bones began to rattle and move by the power of the Word of God. Picture it in your own mind, put yourself into Ezekiel’s place. Can you see the dryness of the bones, the arid emptiness of the valley, blasted by the heat, bleached by the sun…and entire valley full of bones of dead men? 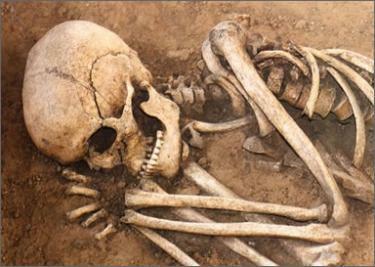 What is God’s message to the bones that were so “very dry”, so very dead? “Dry bones, hear the Word of the Lord!” What would the result be of the bones hearing the Word of the Lord? Breath would enter into them, and they will come to life! There are so many lessons that could be drawn from this passage, but the one for today is simply this: dry bones can hear the Word and be brought back to life. Many times our lives, our souls, can become much like those dry bones. We are laid low by life, for all intents and purposes, the bones of our existence lay on the valley floor, scorched, bleached and seemingly very dead. Life crushes, discourages and burdens us. Like the bones of long ago in the valley of Ezekiel, our dry bones need to “hear the word of the Lord”…and when we do, just like the dry bones from so long ago, we will “come to life”! All it takes for dry bones to live is to hear the Word of the Lord! Oh, and don’t miss it: just in case we didn’t catch it the first time, God repeats it a second time: “I will put breath in you, and you will come to life”. What’s the point of it? THEN we will know that He is the Lord, THEN He will be exalted, glorified, THEN we will be moved to live like men and women who know and understand His power to transform dry, dull, dead lives into something that can shout His praises and do war with His enemies. What was the secret for the dry bones in the days of Ezekiel? No magic potion, no special incantations, no great works to perform – just “hear the Word of the Lord”. It is the same today. Are you dry and dead? Listen to the prophet of God from so long ago: “Dry bones, hear the Word of the Lord!” That’s all it takes to give you life again! PRAYER: Lord, how desperately we need new life, for the Holy Breath of God to enter into our souls and make our bones rattle and move! Blow on us, Spirit, and revive our lives again! In Jesus’ name, Amen.